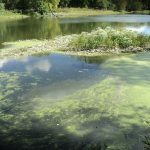 WATERSHED WATCHDOGS EXPAND TO AURORA AND CRYSTAL LAKE! 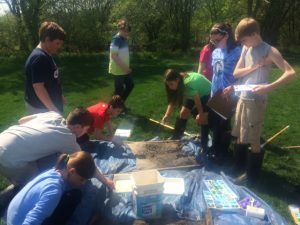 Since the beginning of Friends of the Fox River, students have played a lead role in water quality protection. Citizen scientists have voluntarily collected data from over 100 monitoring sites throughout the watershed. In 1999, the Fox River Monitoring Network was established which through federal, state, and county funding. The network grew to over 30 schools, and supported a staff member and an annual student conference. 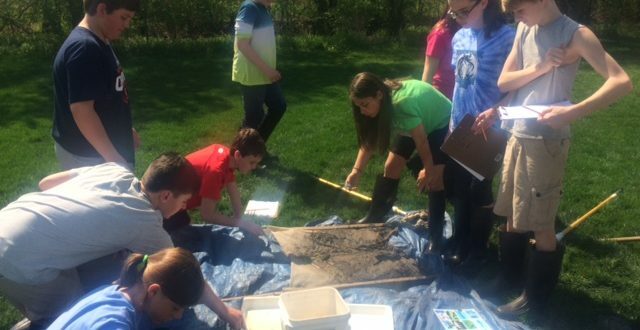 In 2009, a USEPA grant enabled the addition of an outreach educator to provide in-stream support and in-school instruction. The program expanded to involve more students, but in fewer locations. To date, Friends of the Fox River has hosted over 30,000 students from southern Wisconsin downstream to Yorkville for no charge. The demand has contin ually grown, and has limited our service geographically. The northern portion of the watershed has consistently involved over 2000 students annually. In 2013, FOFR entered into a service agreement with the City of Elgin to provide educational services which enabled us to employ retired U46 teacher, Cynthia Wendt. Cindy’s work includes both in-stream and in-school instruction. That program quickly filled to near capacity, involving another 200 students annually. This year, FOFR entered into an agreement with the City of Aurora to expand our educational services, and establish the Aurora Watershed Watchdog program. We have two young educators, Emily Dombrowski and Jared Mead working with schools and other youth organizations. 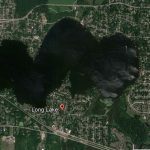 Currently we are working with City of Crystal Lake in an effort to maintain that well established program. The Watershed Watchdogs are a first line of defense in protecting local water quality. They survey their local streams for potential problems, and collect biological, physical, and chemical data that monitors and assesses the health of that tributary or section of the Fox River. This data can demonstrate trends or identify a sudden change. When problems are identified, the appropriate authorities are alerted. These students as citizen scientists are more than just data collectors. Their connection to their local stream and understanding of the impacts of human actions, make them appropriate stewards. They are the protectors of water quality today and the decision makers of tomorrow. 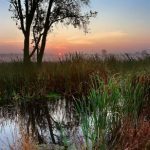 At Friends of the Fox River, we work on many fronts to protect the watershed’s resources. It is the Watershed Watchdog program that we invest the heaviest in, as we know that it is effective and will have long lasting impacts. Help Friends – Drink Beer?